Having been unlucky to finish runners up the previous 2 weeks at tournaments in Melrose and Kinross, the P7’s got of to a great start in their home tournament with a convincing 9-0 victory over Falkirk. Next came a stronger Livingston team, however, the Wee Reds’ P7s ran out comfortable 4-0 winners in the end. 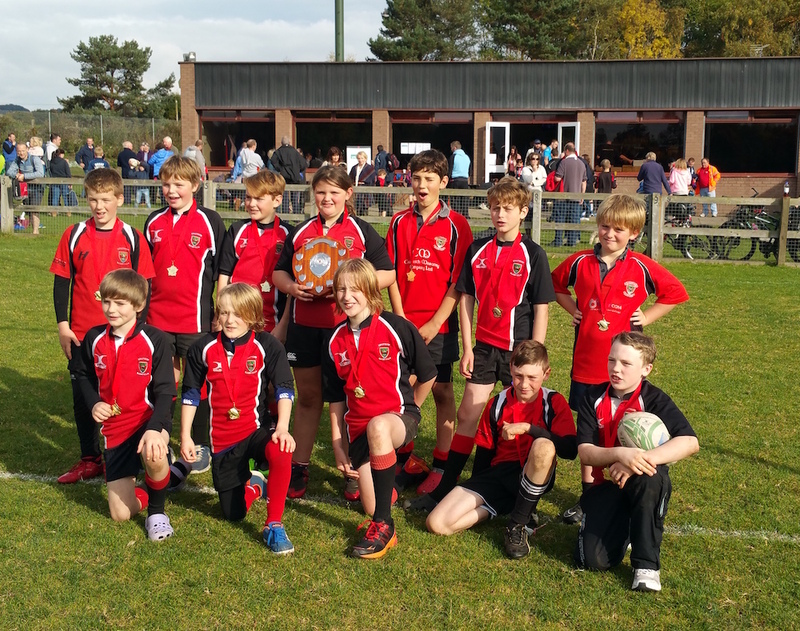 Having played 2 games and scored 13 tries the P7’s were on a roll, which they continued in their final game against the visiting Watsonians’ team, securing a 4-0 victory, to win the tournament. On a day that saw the P7’s score 17 times without conceding a single try it is hard to remember a more complete display of rugby from the squad with each and every one of the players playing their part. As well as the obvious attacking and defensive play throughout the day, the team passed and rucked well, supported each other, keep their shape and discipline and most importantly played in the true spirit of the game with smiles on their faces! Congratulations and we’ll done to all the players – Linlinthgow P7 coaches.